Marilyn's Wallpaper Removal - FREE Estimates, Excellent References, Fast Service in Columbus, Bexley, Upper Arlington, Clintonville, Pickerington, Westerville, Gahanna, Murfield, Dublin, Worthington, Pataskala, German Village, Grove City, Reynoldsburg, Whitehall, Hilliard, New Albany, Powell, Olentangy, Granville, Newark, Heath and other Central Ohio surrounding areas. Columbus, Bexley, Upper Arlington, Clintonville, Pickerington, Westerville, Gahanna, Murfield, Dublin, Worthington, Pataskala, German Village, Grove City, Reynoldsburg, Whitehall, Hilliard, New Albany, Powell, Olentangy, Granville, Newark, Heath and other surrounding areas. 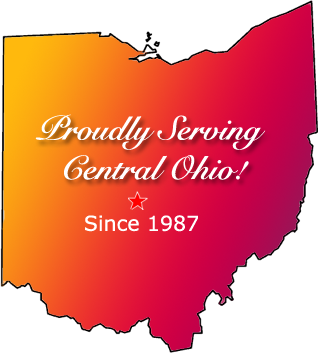 I have been serving Columbus Ohio and surrounding areas since 1987. I take pride in my work, I am dependable and flexible to assist with meeting the needs and schedules of customers. Do you want your wallpaper removed in a timely manner? CALL ME! I complete my task within contracted guidelines! If you prefer email use the address below. I remove wallpaper & wash walls! Call for References or better yet...read them below! I couldn't be more delighted with the job Marilyn did removing wallpaper from 2 rooms in my house! She was punctual, worked quickly and neatly, and her price very reasonable.To anyone who wants to get wallpaper removed, I strongly recommend this company. Just wanted to comment on the work Jan Berry did for me. She just recently did two bedrooms for me. She called me back promptly when I contacted her, set a date, and showed up on time. Did a great job!! I hired Jan to remove wallpaper in my home three years ago and she has been back multiple times to work on additional projects. She has removed wallpaper from very high spaces as well as areas that seemed to be unreachable! She is always prompt to the job, cleans up after every project, and my walls look fantastic when she is done. I have recommended Jan to several friends and will continue to do so in the future. after finishing. We will use her in the future and would recommend her to any of our friends. Jan Beery removed wallpaper at my house a couple of years ago. She worked very quickly and efficiently and did an excellent job. She cleaned up the area immediately after completing the work. I would recommend her to anyone in need of wallpaper removal.